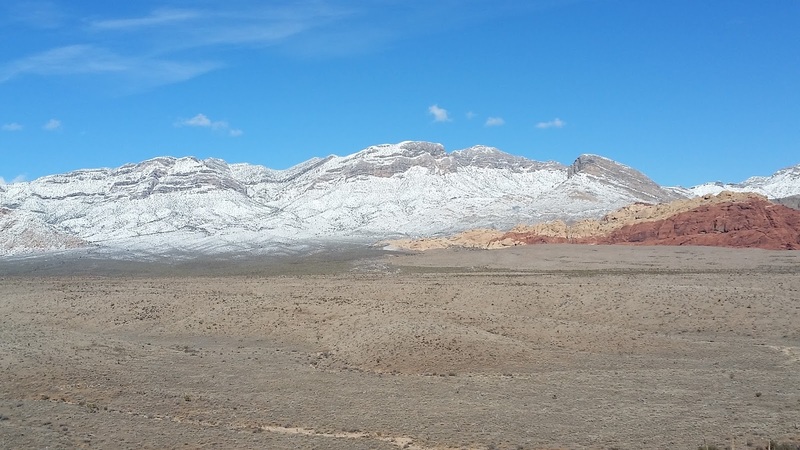 Who knew it snowed in Las Vegas!? I didn't. We didn't before we moved here. It will be almost 2 years since moving to Vegas and we have yet to adjust to the weather. When it's hot, it's hot. And when it's cold...it's freezing! Some mornings during the winter have been 32 degrees! 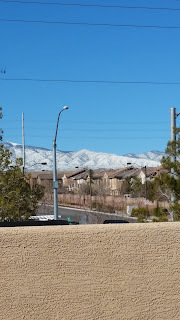 The beauty in living here is the snow capped mountains when it snows. 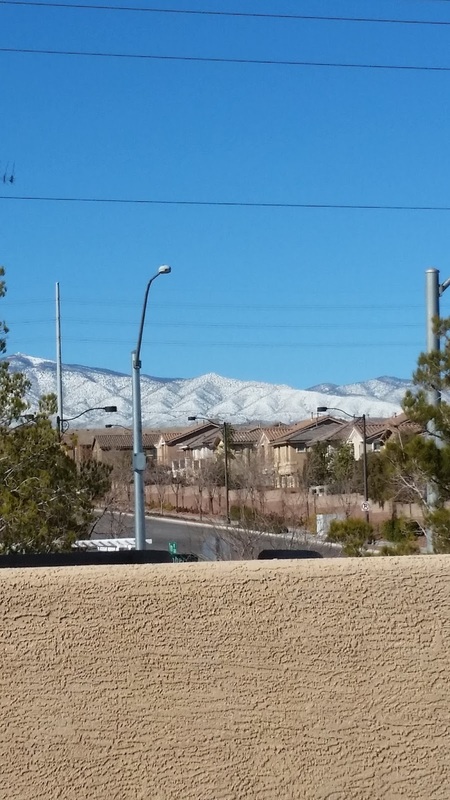 I love staring at these and I'm lucky to have a balcony that looks straight out onto these mountains. In just this past weekend alone, the local mountain, Lee Canyon had received 13 inches of fresh snow. Surrounded by mountains and barely any greenery, I get excited seeing the snow in the Winter! 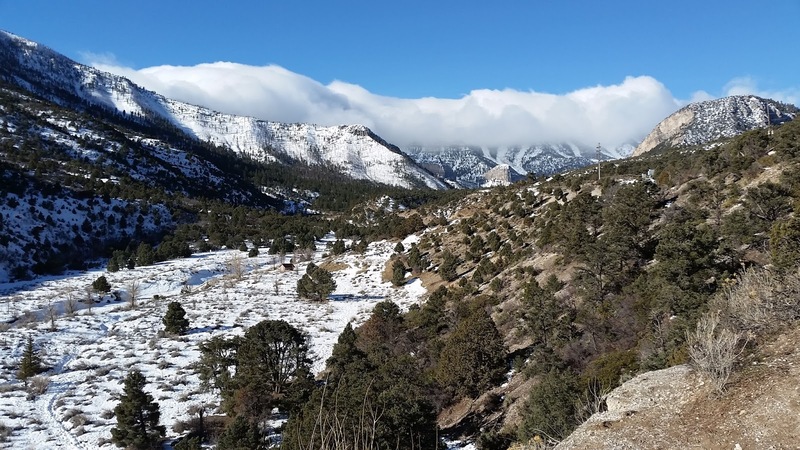 Within just a short drive Mt Charleston and Lee Canyon are within 20-30 minutes away. Lee Canyon has the ski resort that is perfect for the avid skier and snowboarder. Although I haven't gone snowboarding since living here, I hope to return to the slopes someday! I haven't gone in over 9 years, I'm sure I'd be a little rusty. You can always check out their live cam too. But look at the photos! Look at how beautiful the mountains are. 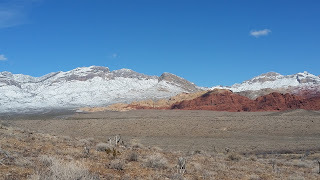 Not too far from the Northwest valley, is Red Rock Canyon. 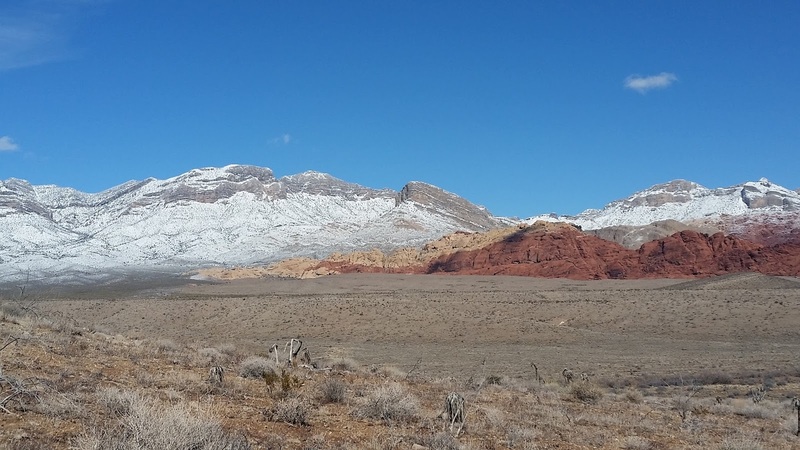 Without the snow, the view is beautiful mountains of Aztec Sandstone. 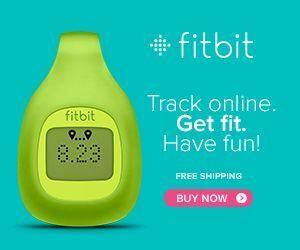 There are many hiking trails of all skill levels. My family and I hike that area regularly. To see it with snow is even more amazing. Mind you, the elevation is only 7,000 feet. 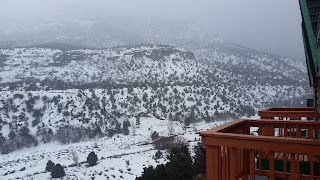 Total snowfall for the Mt Charleston area as of today is 124". 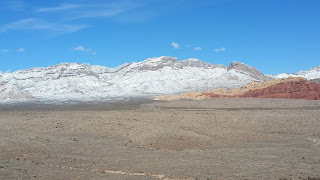 To know that I live in the desert, but also live that close to snow is wonderful! Although I could never live in a city that snows, I love knowing it's just around the corner. 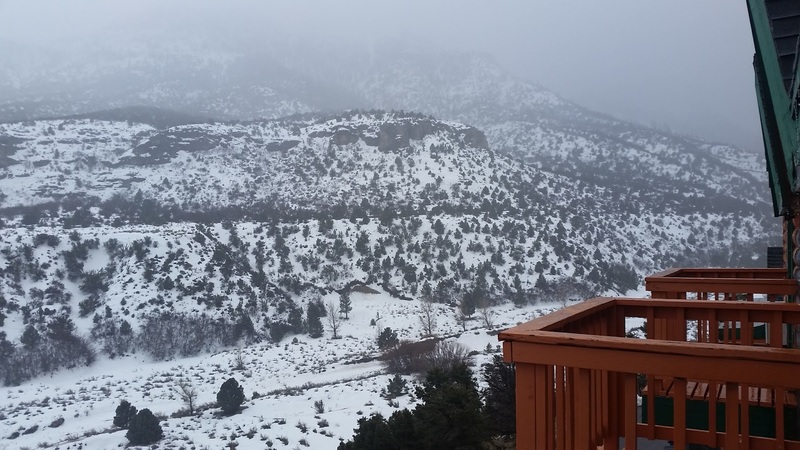 The photos below are of Mt Charleston Resort. My Husband and I celebrated our 12th anniversary last weekend at this resort. It was nice just to relax and get away. This was a view from our balcony and below, a view of the range from the backside of the resort. I am definitely grateful for the beautiful Fall and Winter weather we have here in Las Vegas. Snow is never what I thought I'd see living in the desert. Best part is that it actually snowed in our neighborhood, Christmas Eve 2015. I was like a kid in a candy store and could not believe how much snow we received. Enough to write our names in the snow, have a few snowball fights and it lasted til about 2pm Christmas Day. Loved it! Now as the Winter comes to and end...and Spring is upon us, we will now have to prepare for the hot, hot Summer! 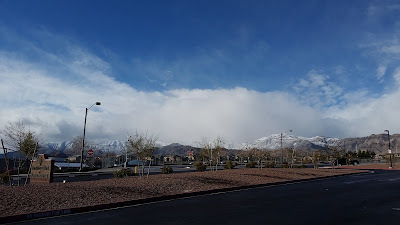 We definitely get all the seasons here in Vegas!